Thaanaa Serndha Koottam, Sketch, Gulebagavali, Bhaskar Oru Rascal: Which film will ace the Pongal weekend? Kollywood is gearing up for the biggest ever Pongal weekend, starting from Friday, January 12. Pongal the harvest season is Tamil Nadu’s biggest ever festival, with five continuous days of holidays. Traditionally the Pongal box-office is huge as it is the one time of the year when the weather is pleasant and family audiences throng the theatres. 2018 will see a large number of films releasing around the festival season. About two weeks back 8 films had announced a Pongal release, which has now come down to five. 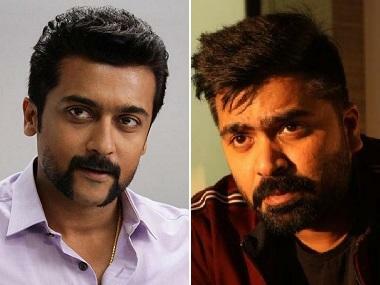 The confirmed releases are Suriya’s Thaanaa Serndha Koottam (TSK) , Vikram’s Sketch, Prabhu Deva’s Gulebagavali, Aravind Swamy’s Bhaskar Oru Rascal and Vijaykanth’s son Shanmughapandian’s Madura Veeran. The big question that the trade is asking, is whether all these five films will find enough screens for a wide release. In Tamil Nadu, out of the 1100 odd screens in major markets, only 800 to 900 are fit to screen new releases. The majority of the screens will be divided between TSK and Sketch, as they are the biggies and a lot is riding on them. In Thaanaa Sendha Koottam, a big star like Suriya is the pivot around which this heist comedy entertainer revolves and is directed by Vignesh Sivan and produced by KE Gnanavel Raja of Studio Green. The film is said to be an adaptation of Akshay Kumar’s Special 26 and has Keerthy Suresh, Ramya Krishnan, veteran Karthik in the supporting cast with music by Anirudh. The 2 hour 12 minutes film has been censored with an UA certificate and the trailer and the songs have gone viral. 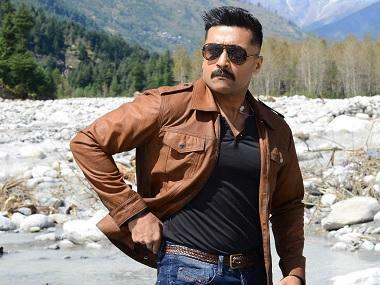 The USP of the film is Suriya’s star power. The actor needs a super hit as his last two films have not done well at the box-office. However, the film has been mired in financial issues and its creditors have to be settled by the producer. Sketch is an action entertainer on gang wars and is set in North Chennai. Vikram as an action hero always has a market along with Tamaanaah providing the glam factor; the film is directed by Vijay Chander. The film is said to have three deadly villains – the popular television personality and Bhojpuri film hero Ravi Kishan, RK Suresh and veteran Radha Ravi. This film's biggest selling point is Vikram as an action entertainer. The star did not have a release last year but the trade is confident as the film is being aggressively being marketed by Kalaipuli Thanu, who did films like Kabali. Vikram needs a hit, especially since Sketch is being pitched against stiff competition. Gulebagavali is an action comedy with Prabhu Deva doing some great dance numbers and the film is directed by Kalyaan and produced by KJR Studios. Hansika is the female lead and has veteran Revathi playing a crucial role. Since there is an old MGR film with the same title, the buzz around the film is high. Bhaskar Oru Rascal is comedy action entertainer laced family drama, with Arvind Samy playing a mass hero for the first time. The film is directed by Siddique who also made the original in Malayalam a few years back. Amala Paul and Baby Nainika play important roles. The final release of thie weekend is Madura Veeran, an action drama set in Madurai and based on bull fight or Jalikattu. It is the re-launch of actor politician Vijaykanth’s son Shanmuga Pandian and is directed by noted cameraman PG Muthiah. Unfortunately there is hardly any buzz around the film, but only time will tell about its fate. Meanwhile with Pongal weekend starting on January 12, there are still doubts on how many will finally make it to the theatres. 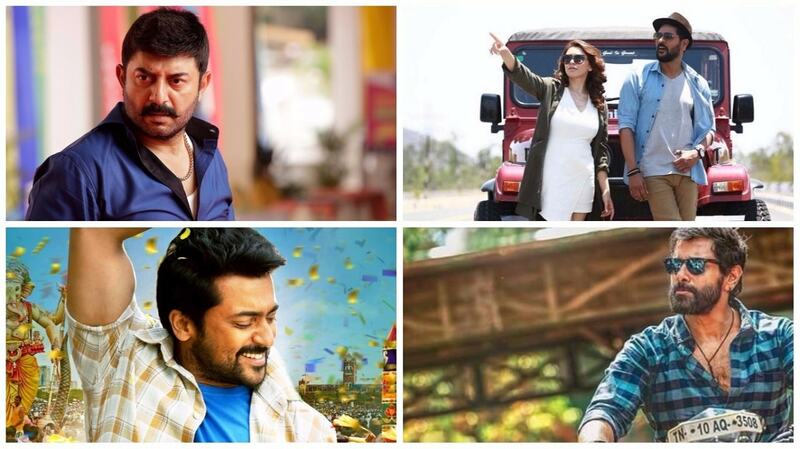 1Thaanaa Serndha Koottam, Sketch, Gulebagavali, Bhaskar Oru Rascal: Which film will ace the Pongal weekend?